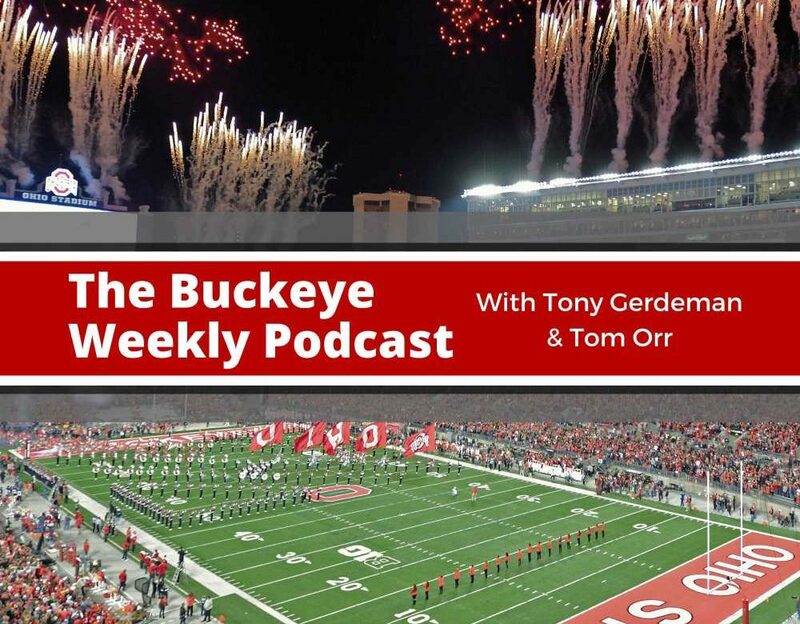 In this edition of the Buckeye Weekly podcast, Tony Gerdeman and Tom Orr come to you live from the Ohio State team room in the Woody Hayes Athletic Center and tell you as much as they can remember about a full Wednesday of talking with OSU’s newest coaches and players. All five new assistants spoke with reporters, as did all seven early enrollees. Ryan Day capped the event, so there was plenty for Tom and Tony to cover on the fly. + We are live from the Ohio State team meeting room. + This has been a full day. + First opportunity to talk to the assistant coaches. + All Hail the Ryan Day Regime! + Ryan Day is a gentleman and a scholar. + Greg Mattison was first. + Why did he leave Michigan? + The marriage of Greg Mattison and Jeff Hafley. + Zach Harrison is the happiest man on campus. + Everybody seems to like Jeff Hafley already. + Will he coach Buckeye corners to look back for the ball? + Be careful what you wish for. + Ryan Day was impressed by Matt Barnes last year. + Will the special teams still be the proving grounds for young players? + The coaches don’t yet have a great feel for the depth chart. + Buckeye fans should love hearing about the defense simplifying things. + The closest thing we got to an answer about the defensive scheme. + What will the linebacker situation look like this year? + Al Washington is still working that part out. + Hafley said you scheme to your talent. + Ryan Day’s conversations with Jim Harbaugh in December. + Day knew then that he was going to change the defense. + This job wasn’t a dream for Al Washington, but now he thinks it should have been. + What position will improve the most in 2019? + Thoughts on Mike Yurcich and what he might bring to the OSU offense. + He is learning the offense right along with Justin Fields. + There is a new offensive line to be able to run RPOs this year. + The signing of Enokk Vimahi and the possible 2-year mission. + They worked hard to land Vimahi, so that should speak to his talent. + Closing with Vimahi and Dawand Jones was big for the Buckeyes. + Ryan Day actually told us where OSU is scholarship wise. + No fourth quarterback this year? + Players will transfer after spring, they always do. + Ryan Day said the word “fullback” when speaking about freshman tight end Cormontae Hamilton. + This was a small class because they didn’t lose a lot of guys to transfer. + Getting a chance to talk to some impressive freshmen. + Zach Harrison wasn’t the closed-up recruit anymore. + Calling out Tom on his belief that anytime you can recruit somebody nicknamed “The Rocket,” you have to do it. + Tim May chimes in. + Ronnie Hickman probably won’t be healthy enough to participate fully this spring. + Ryan Jacoby was impressive, and not just because he walks around with pizza at 9:30 in the morning. + Again, we like this Ryan Day guy! + Marcus Crowley was just fine flying under the radar. + Garrett Wilson is natural at everything and he is just now getting to focus on football.